Gardening is a fast-growing business idea that can save customers' money and beautify the landscape while also helping the environment. Gardens can be traditional outdoor plots or created on a smaller scale with containers. 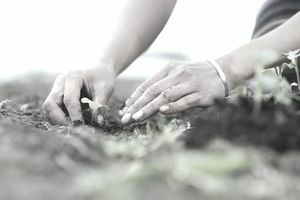 Whether you are starting a vegetable garden, and herb garden or a flower garden, if you have a passion for gardening and a desire to help others' get their gardens started, a small business as a gardener may be the perfect business idea for you. Professional gardeners are in demand among people who want to maximize the use of their land but don't know how to do it. The profit potential is high. You can partner with landscapers, garden shops and teaching facilities. You can specialize in several areas, such as organic gardening, natural pesticides, native plants, edible plants, etc. You can offer garden setup services, teach gardening and even provide maintenance services. You will have some big competitors, including stores like Home Depot and other large gardening companies. You may need to find a niche to compete in a crowded market. You will need exceptional knowledge of gardening. You will need extensive knowledge of organic materials, products, pesticides, etc. You may need business and tax licenses, as well as certifications. Your business may slow down if you live in a seasonal climate. What Are the Pros and Cons of Starting a Handyman Business?